It is also important you supply an evaluation so we can report to our sponsors about how the field trip worked in different classrooms, regions, school types etc. Teachers of enrolled classes who sent in an evaluation by Friday 6 June went into the draw to win a field trip prize pack. Congratulations to Marcia Ferguson and class from Rosebank School in Balclutha! 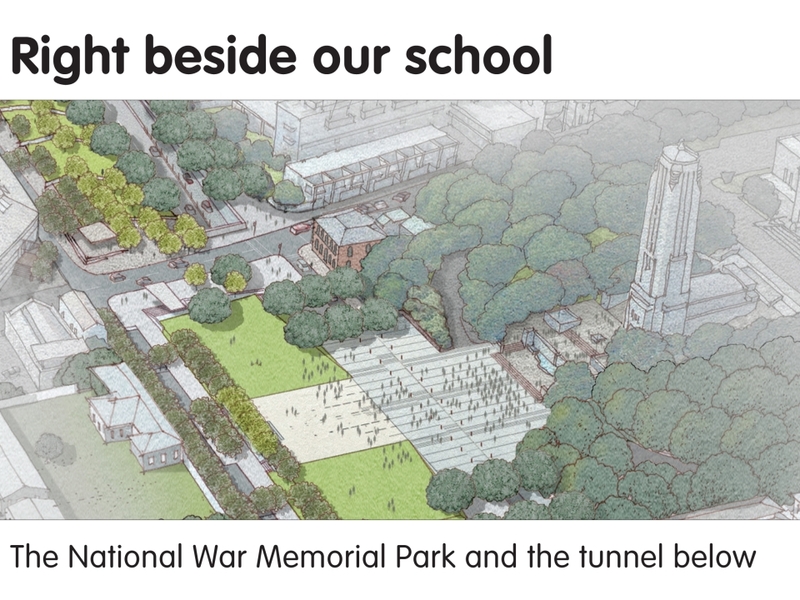 Teachers complete the Memorial Park evaluation after the field trip through your MyLEARNZ control panel. 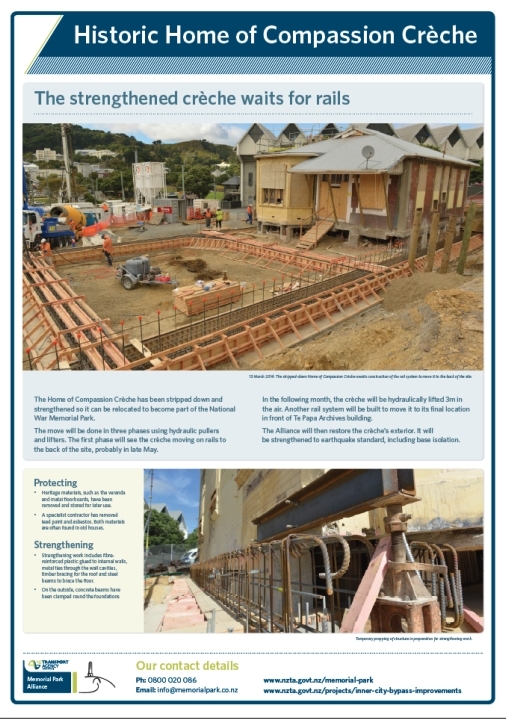 Home of Compassion Crèche update poster. 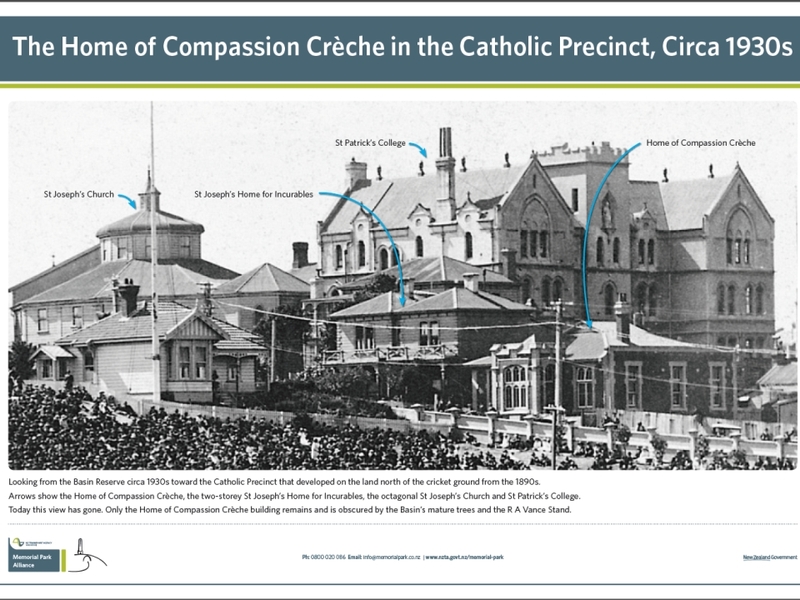 1930s historic photo, Home of Compassion Crèche in the Catholic precinct. 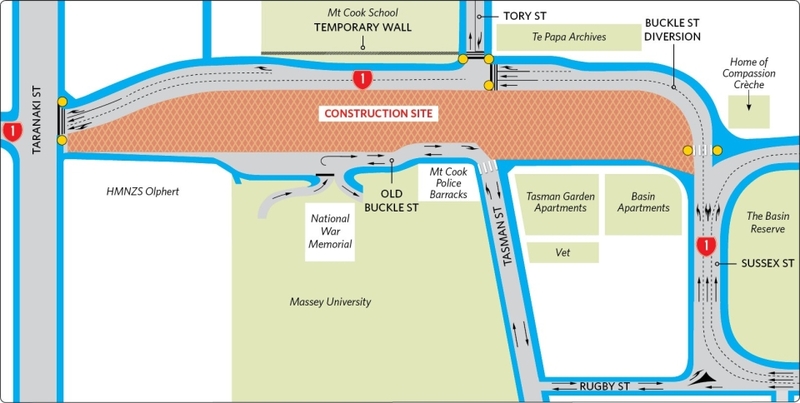 Site map for National War Memorial Park and Underpass, showing Home of Compassion Crèche location before relocation. Right Beside our School booklet. 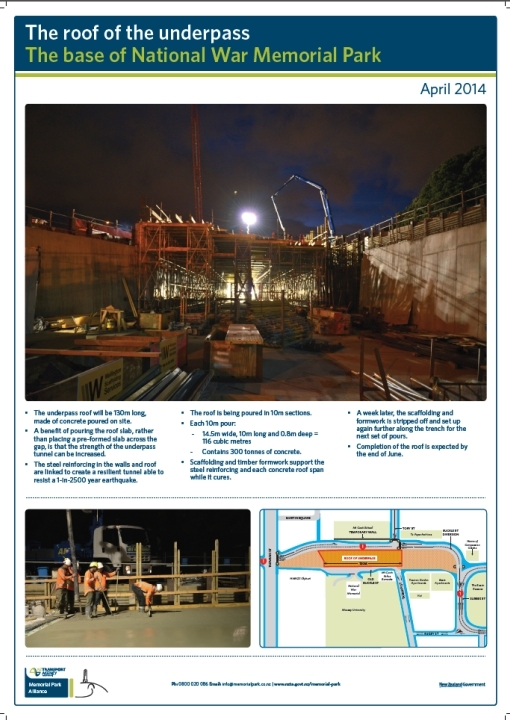 14.01.31 Memorial Park Underpass site update poster. 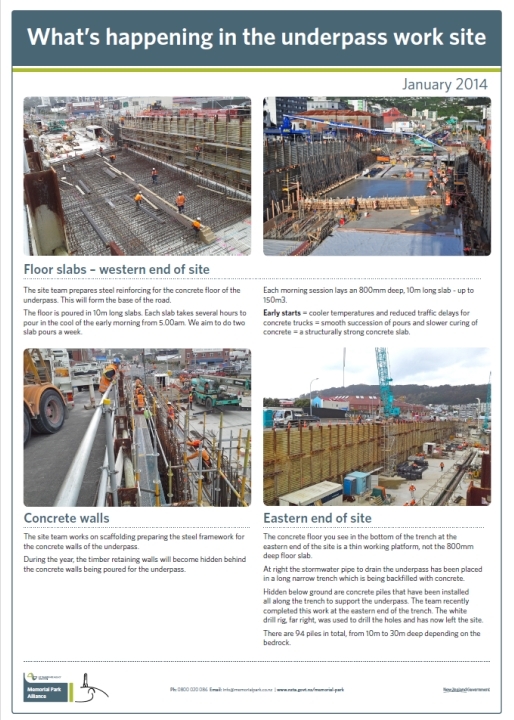 14.03.26 Memorial Park Underpass site update poster. 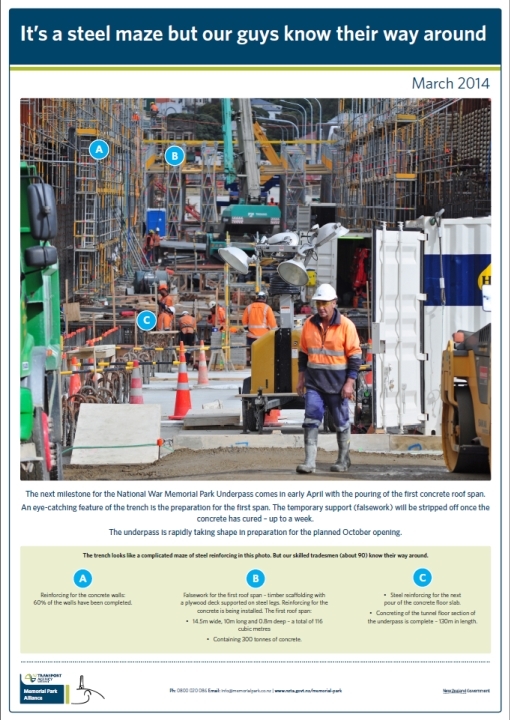 14.04.14 Memorial Park Underpass site update poster.